So it recently has come to the attention of many console players that EA and DICE have pulled their official servers from the server browser of the console version of Battlefield 3, while EA gave players the opportunity to rent their own servers for $30 a month who would have thought that EA would take it the wrong way and completely depend on private servers to run their game? Currently the console community is in an uproar over the ridiculous rules of private servers such as high ticket counts or admins who abuse their powers but has EA really gone too far now? In a surprising turn of events EA has managed to make Battlefield 3 console servers vanish completely, they pulled their own and official DICE servers from the server browser for the console version and are now relying on people to pay $30 for a server which may or may not have an admin who has an itchy trigger finger of kicking people who kill him too much or servers with ridiculously high ticket counts. So EA thinks that people asking for rental servers constitutes them shutting down their own servers? Come on EA and DICE, what are you guys doing up there? As a gamer this kind of stuff really annoys me, I am okay with a 5 year old games servers shutting down but not okay with a game which isn’t even a year old losing its official servers. UPDATE: An EA spokesperson tells us that DICE will “reserve a percentage of servers” for players who want DICE to host them. Full statement: ” DICE is not shutting down servers. If DICE-managed servers appear unavailable, it is because they have been rented and customized by players. DICE will continue to add servers and will reserve a percentage of servers for players who prefer to connect through DICE-hosted servers. “Custom Servers have always been extremely popular with Battlefield PC players. 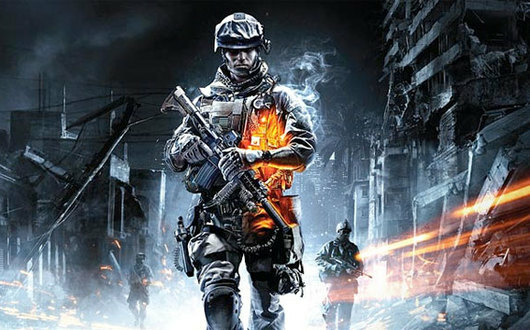 With Battlefield 3, we’ve introduced a Custom Servers program to console gamers. Response has been overwhelmingly positive. Custom Servers gives players the ability to tailor the settings and parameters of a given server, which directly affects gameplay. It also gives players more choice as they select which server and gameplay style they like best.